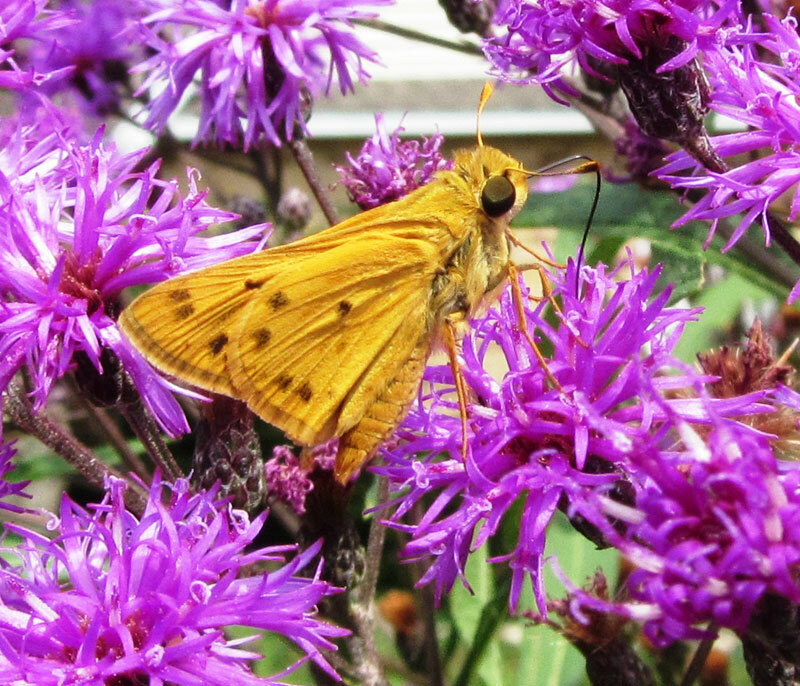 2- dusky wing and silver-spotted skipper. 3- CW LE on dames rocket, Black ST LE on parsley(school), ETB puddling. 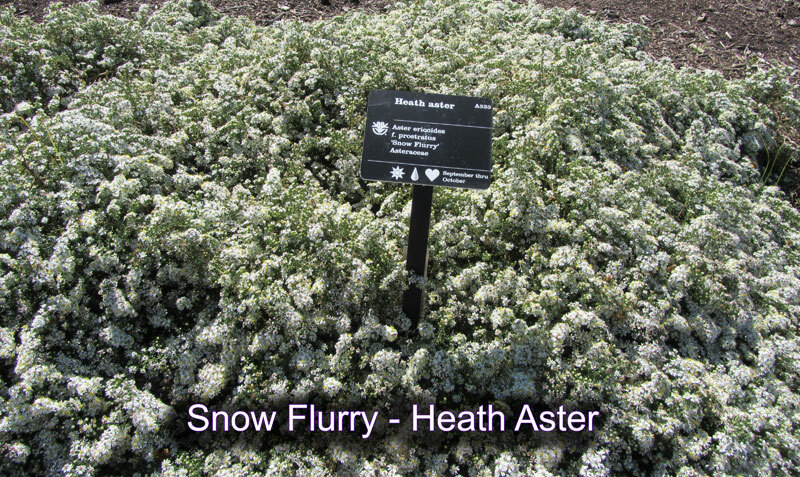 I saw this plant at the Missouri Botanical Garden in 2011 and admired its compact shape and great flowering. This was September 28th – a great time for the Monarch migration. I’m going to give it a try this year and found it at these sites. – American Meadows – $4.26 or six for $3.73 each. April 18th – Uthoff Elementary – add plants to BG. – Judy S.
April 21 – Dave T group to visit the garden. 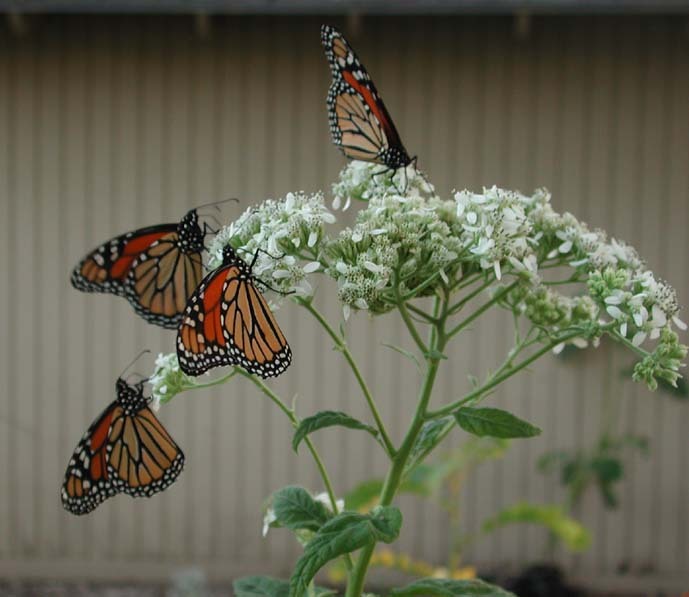 April 30 – Ursuline Academy – Butterfly Garden – 3:15pm Barbara H.
May 1 – Crestwood Elementary BG – Kathy S.
May 5th – Concord School – Joey – Eagle Project – Butterfly Garden. 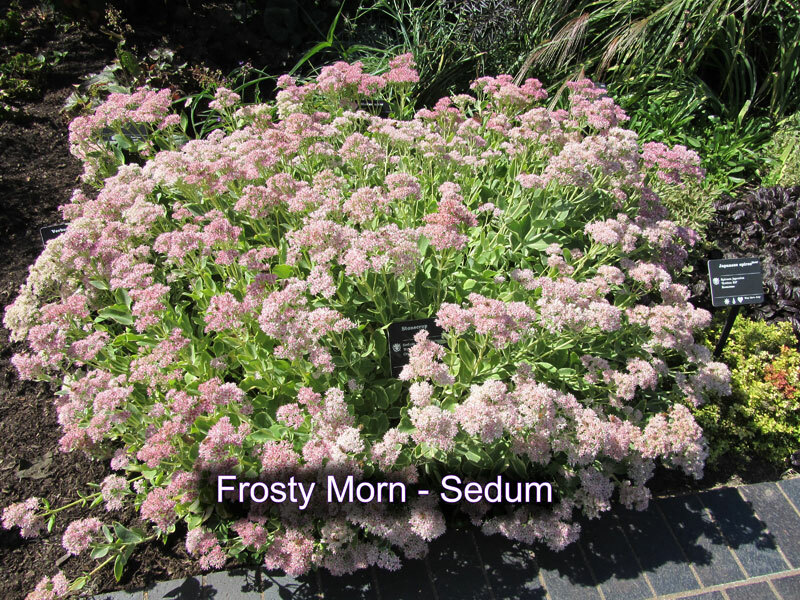 May 16 – ForgetMeNot Garden Club to visit here. I planted at least 2000 seeds in three different areas. These are all seeds which need cold-stratification or seem to endure our cold winters and readily start from seed in the spring. Note – I only planted Red/Cream echinacea in the mailbox area. Try yellow Chapel Hill lantana in the front of the house. It’s low growing and the color is nice. Plant plain ordinary Basil – not fancy. 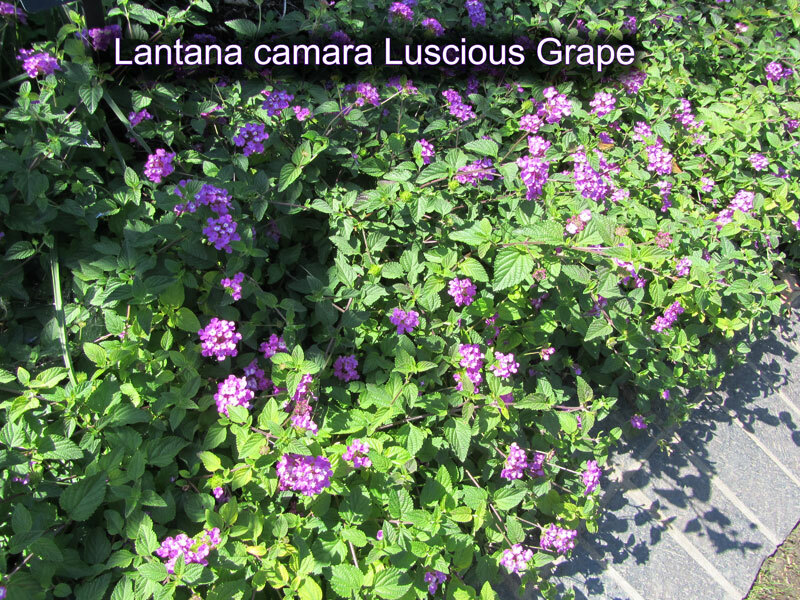 MoBot – Lantana camara Luscious Grape – nice purple low growing. 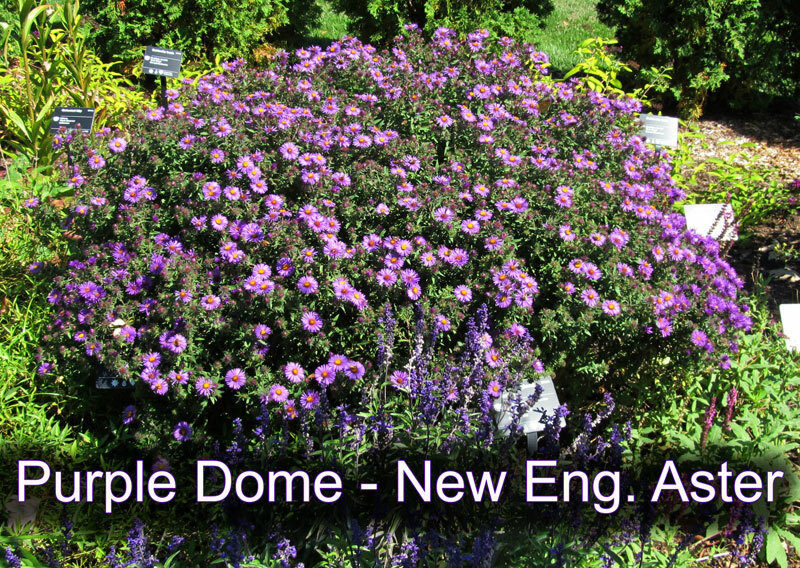 MoBot – New England Aster – Purple Dome – nice shape – dome like – not leggy – lots of insects.link1 – seems like quite a few other places have this. 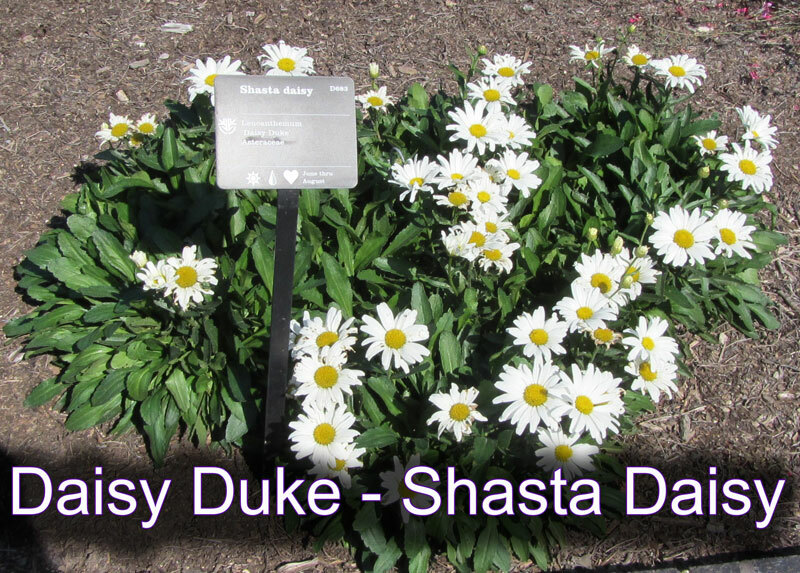 Mobot – Daisy Duke shasta daisy – blooming Oct. 1st.